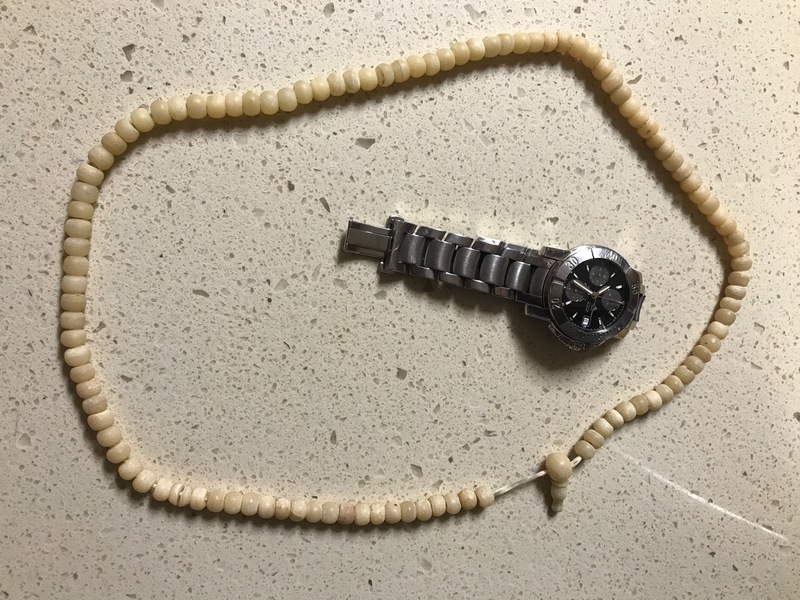 My yak bone Buddhist prayer bead necklace that Norte Amerincaico gave me 20+ years ago. I wore it every day for 10 to 15 years, and it’s been with me through almost every important event; I wear it on purpose for special things.-Tuesday I’ll wear it to say goodbye to a cool friend and then I’ll take it to Peru for another adventure guiding group of people through an amazing landscape. It needs to be re-strung, and one of the 108 beads is broken….a fix will happen when we get back home.